Today I have another male card to share, again using the Stampin' Up! Guy Greetings stamp set. 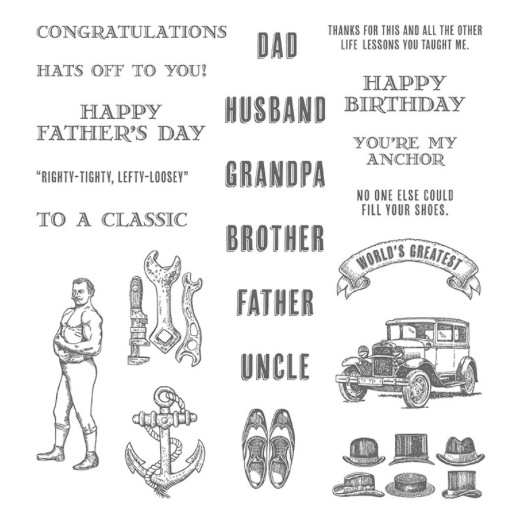 Today my card has a Father's Day sentiment but this can easily be converted to a birthday or other male celebration card using the stamps that come in the set. To create this card I was inspired by a recent card by Kristina Werner. 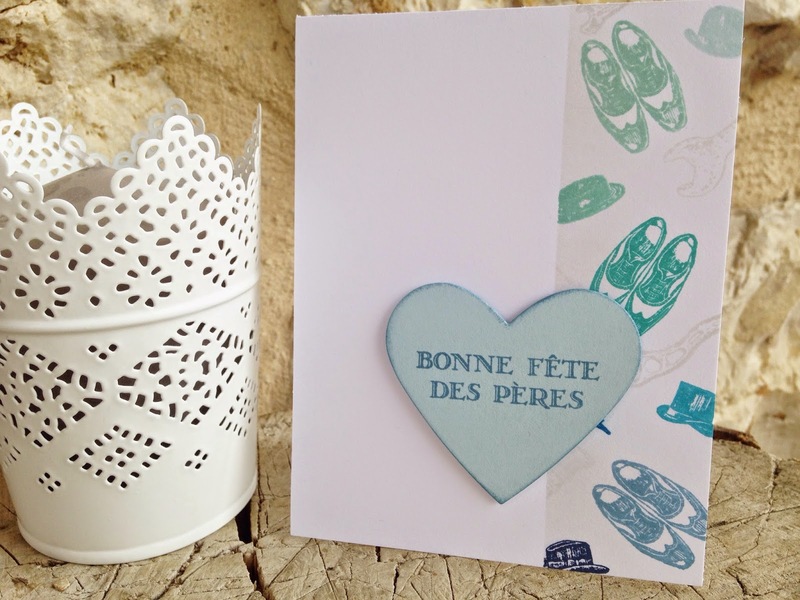 I masked off part of the card and stamped my images on the left hand side in various coloured blue inks. As I described the other day I cut apart the hat stamp, I also carefully cut apart the tools stamp for ease of stamping the images individually. Before removing the masking tape I lightly blended some grey ink across stamped area. 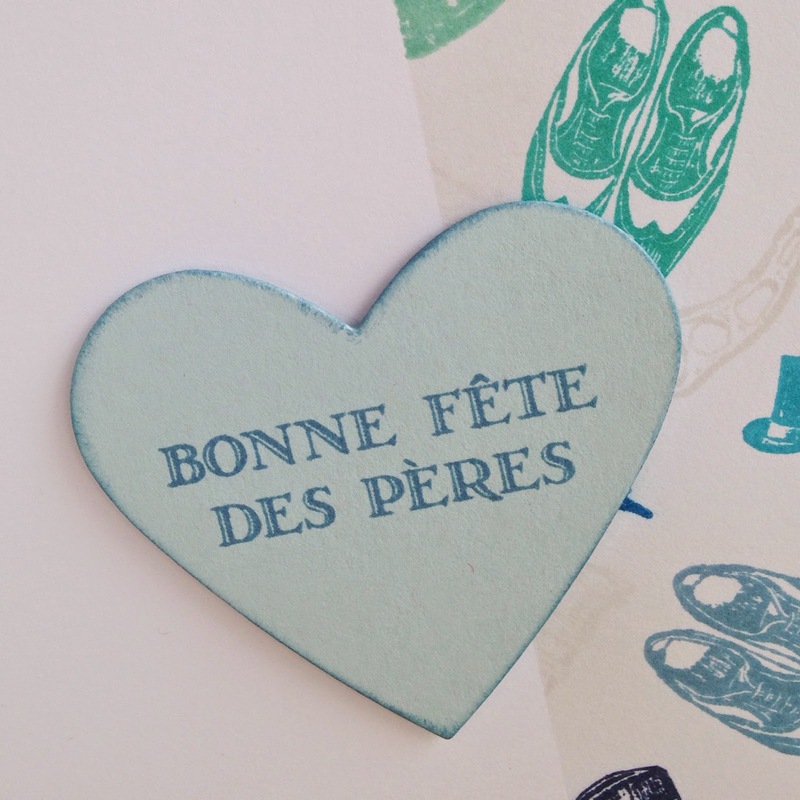 I then stamped my sentiment and die cut it using the Hearts Collection Framelit dies from Stampin' Up! These are one of the items retiring from the current catalogue and therefore you can get a super deal on them - 50% reduced! But don't wait because things are selling really quickly and once they are gone, they're gone! 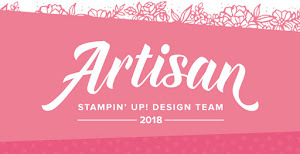 I popped my sentiment up on dimensional adhesive and called my card done! This is my third card this week using this stamp set, you can see my other ones here and here. This stamp set also comes in French and German and is a great set to add to your collection for those masculine cards - they can be tricky! I will be back again tomorrow with another card utilising this set to highlight how versatile it can be.